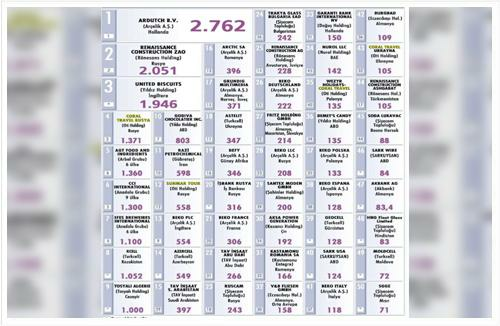 OTI Holding and its affiliates are again among the top of the list included in the November issue of Capital magazine which states that a great dynamism is seen in the foreign operations of Turkish companies. Sunmar Tour which took place at #5 and #4 in 2013 and 2014 respectively, is at #7 of the "Top-10 List of the Fastest Companies Beyond Borders" list this year while Coral Travel-Wezyr Holidays is at #8 of the same list. 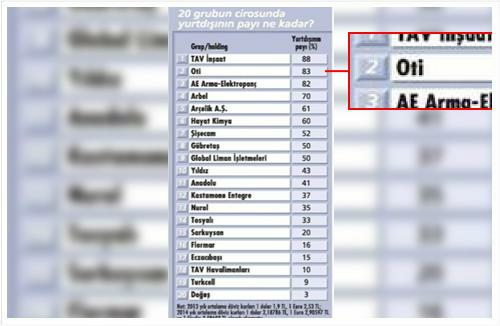 4 companies of OTI Holding are in the list of "50 Largest Turkish Companies Established Abroad" prepared based on the turnover figures of the relevant companies in 2014. Coral Travel (Russia) is at #4, and Sunmar Tour kept its rank this year and ranked at #12 while Coral Travel-Wezyr Holidays has risen 5 spots this year and is ranked at #35. Coral Travel (Ukraine) is at #43 in the list. OTI Holding is at #2 with a percentage of 83% in the "Foreign share in the turnovers of 20 groups" list.